This book is definitely worth the reader’s time and money, if they can ignore the biases on A S Dulat’s part. 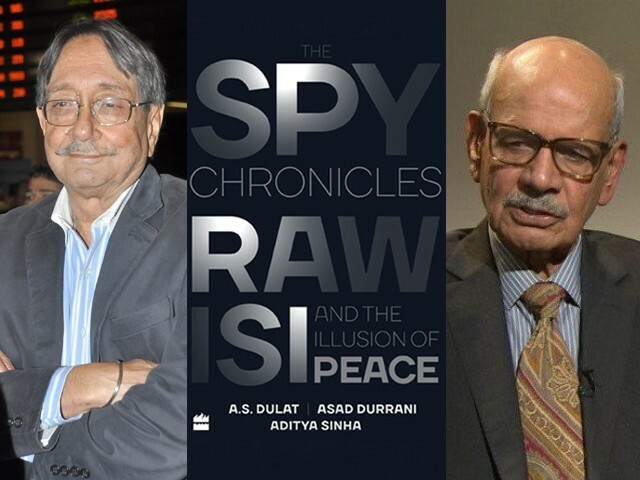 The Spy Chronicles: RAW, ISI and the Illusion of Peace, co-authored by former ISI Chief Asad Durrani, former RAW Chief AS Dulat, and journalist Aditya Sinha, has rightly created a buzz around the subcontinent. After all, two former counterparts from rival agencies coming together to compile a book on sensitive issues – especially pertaining to backchannel diplomacy and events relating to security and foreign policy matters – is a unique experience on its own. The book is narrated conversationally, where Sinha initiates the conversation between Durrani and Dulat. It has seven chapters, and each and every one is detail oriented. It seems as if no topic is left untouched – from policy in Kashmir to the raid that killed Osama bin Laden; from backtrack on diplomacy to non-state actors, they covered it all. Quite interestingly, Durrani is the one who speaks and takes up most of the pages in the book, while Dulat remains a bit conservative in his approach, and only repeats the same mantra of India being targeted by the ISI and Pakistan’s non-state actors. The first chapter is all about setting the stage for the conservation between Durrani and Dulat to begin, and it gives readers a chance to understand the background and reason behind both spymasters penning down their experience. After engaging the reader, the book starts with Pakistan’s deep state, and the war between the ISI and RAW. In the third chapter, we get details of backchannel diplomacy and the actions of both spy agencies in Kashmir. 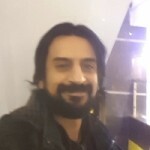 While Durrani states that India has a status quo power edge over Kashmir, which is why the only solution is a composite dialogue, Dulat is of the view that there is no benefit to India burning resources in Kashmir. He also suggests that had the relations between the two countries been better, the issue could be discussed every weekend in an intellectual debate in Dehli and Islamabad. Durrani also admits that Pakistan does not have an understanding with Amanullah Khan, the President of Jammu and Kashmir Liberation Front (JKLF), which is interesting, as JKLF wants a free Kashmir independent of any influence from either Pakistan or India. Durrani is of the view that Pakistan should have backed Khan. The book also gives a detailed Indo-Pak perspective on Afghanistan and the proxy wars between the two countries. However, a controversial point that generated backlash was about Bin Laden. Durrani maintains in the book that Pakistan was aware of Bin Laden’s presence, and that at some stage it came to know about his presence and used him as a bargaining chip. His revelations on the Abbottabad operation are nothing new, but are surprising coming from a man of Durrani’s stature. Unexpectedly, he also states that hyper-nationalism is the main obstacle in Pakistan’s way to peace and progress. Perhaps the most shocking point comes from Durrani’s admission that ISI has also spent money in Balochistan, and his conclusion that all spy agencies in the world use money as a weapon. There are different aspects and interesting points in the book for intellectual consumption, but at the same time, the book focuses more on Pakistan than it does on India. Which begs the question: is this book a deliberate effort by a third party to exploit the weak links in Pakistan’s narrative, by getting it endorsed by a former ISI chief? For example, Durrani’s statement that both India and Pakistan should reunite again seems like an endorsement of the Akhand Bharat ideology, which is why he should be asked to explain his thesis. Durrani’s admissions have thus left some serious questions out in the open for Pakistan, especially when it comes to Pakistan’s position on the Abbottabad operation. If the operation was mutually agreed upon, then why was the nation’s time and money wasted on making a commission for this report? Nothing revealed by Durrani has come as a shock to anyone; the only shocking aspect of it all is the seniority of the person revealing it. Further, Durrani’s comment regarding the establishment disliking former prime minister Nawaz Sharif due to his soft stance on India and his participation in Narendra Modi’s oath-taking ceremony also reflects the double standards that exist as far as foreign policy is concerned. In a way, his admission also validates Nawaz’s point that he was ousted by invisible forces for asserting his authority on foreign policy. Thus, this book is definitely worth the reader’s time and money, if they can ignore the biases on Dulat’s part. By no means does this book reveal anything new, but is nonetheless a good read if you’d like to understand Track II diplomacy or how spy agencies work. If nothing else, it has an interesting intellectual debate. However, if you are an ultranationalist, then this book is not for you. For the policymakers, it seems like the right time for them to step back from their hegemony on foreign policy, and leave some space for elected representatives as well. If Pakistan’s narratives can be reformed and aligned for coherence, then books like The Spy Chronicles will not create any buzz, nor will they be considered a threat to our nation’s security or credibility. The propaganda against Durrani for leaking national secrets holds no ground, as he did not disclose any secrets in his book. However, his revelations have already landed him in hot water in Pakistan, with him being subject to a military probe and his name being put on the Exit Control List (ECL). Though Durrani has categorically denied the allegations, only time will tell whether he will be forgiven for this perceived transgression or not. However, Durrani has provided an opportunity for Pakistan to come forward and accept its failures when it comes to shaping successful narratives. With elections around the corner, one can only hope that the failures outlined via Durrani’s book and the potential of the new elected government will both have a role to play in ensuring democracy finally prevails in the country. After all, it is high time the establishment steps back and lets the state affairs and narratives be controlled and shaped by elected governments, and only intervenes when required. All recall how the Second World War ravaged the world near 70 years ago, and how many of those countries today have good relations! The Maginot line and the Berlin Wall are now historical footnotes, and it is time to dial back the rhetoric that reinforces the Line of Control hatred!